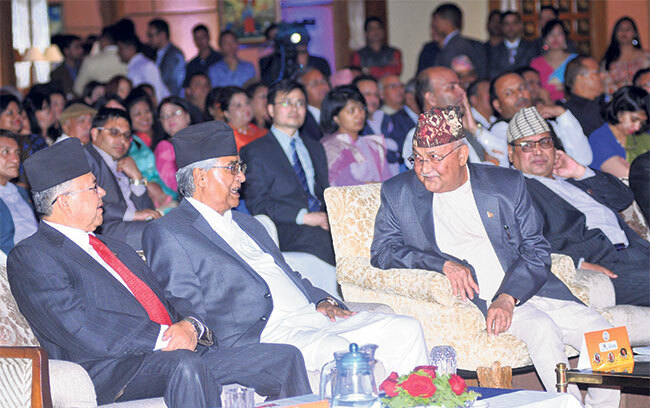 KATHMANDU, April 25: Nepal Republic Media (NRM) has marked the commencement of its 10th year organizing a special function in the capital on Tuesday. 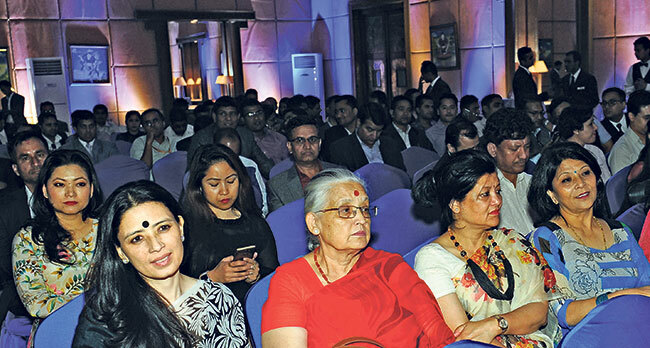 Addressing the in-house function, NRM Managing Director Binod Raj Gyawali expressed satisfaction at the success NRM had achieved in the past nine years through collaborative efforts between journalists and management. "Journalism means collaboration," said Gyawali. "One individual cannot do this alone." While stating that the task of teaching and learning is a continuous process, Gyawali also announced his plan to groom his juniors to take up the leadership role of the media house. "I want future leadership selected based on their individual performance," he said, pledging to bring further excellence and expansion in NRM ventures. 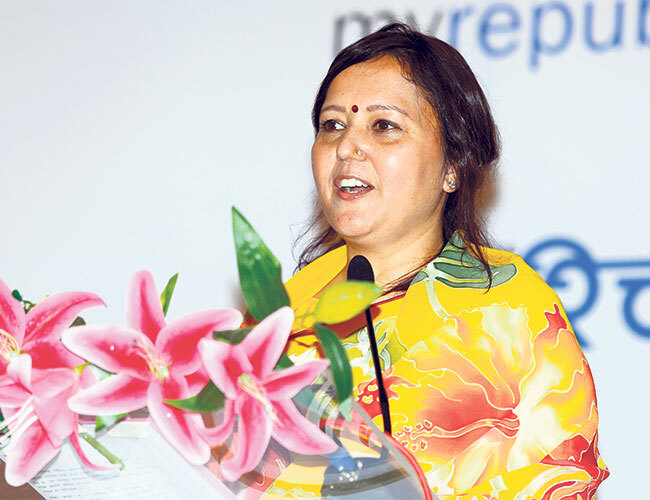 Director Shova Gyawali expressed happiness over the fact that the journey of NRM that began from two news websites had grown to be media conglomerate in the relatively short span of time. 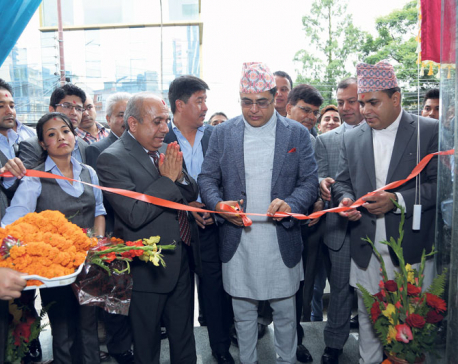 While stating that the main purpose of media is to serve the public through dissemination of factual information, Director Gyawali said, "Media should inform all the people equally and treat equally." Editor-in-chief-of Nagarik daily Gunaraj Luitel said that NRM had greatly fulfilled its social responsibility by running a series of investigative stories including the multi-billion rupees land scam at Nepal Oil Corporation (NOC). Although the platforms of journalism have increased and styles have undergone changes, Luitel said the accountability that journalism should uphold still remains key for the success of journalism. 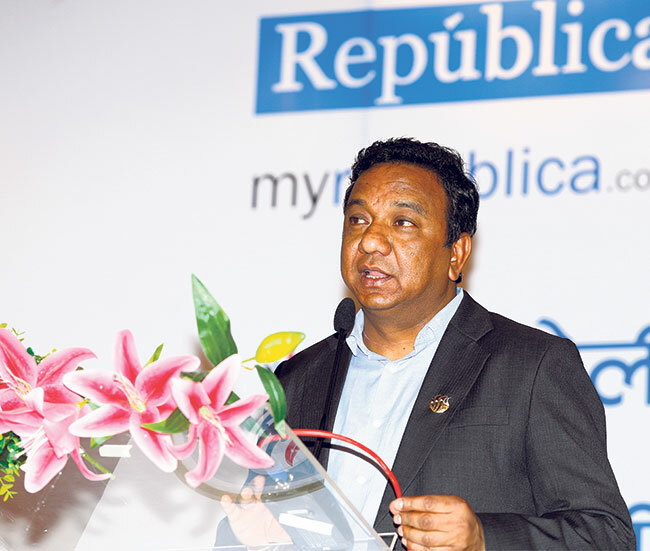 Editor of Republica English daily Subash Ghimire said that truth, objectivity and credibility are the great assets of the media. "To gain the credibility is an uphill task but once it is accomplished, it is equally hard to keep it up. This may vanish in a flick of second," he added. Citing the findings of latest research reports, Ghimire stressed that the media are only means of obtaining information on which most people put their trust. "For all media houses, there is no option but to investigative and report factual news," he added. 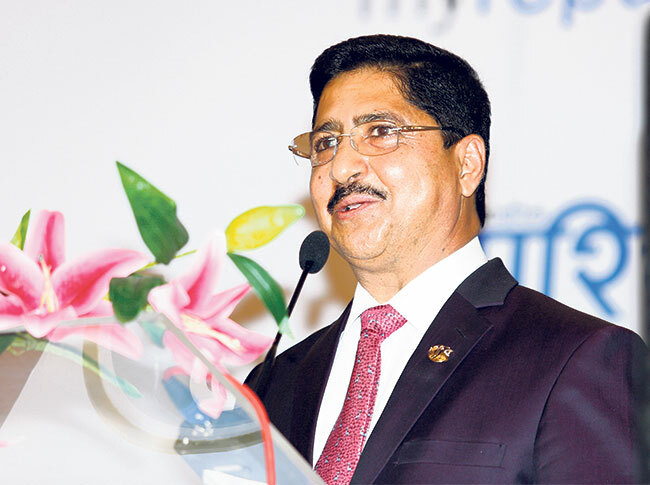 NRM’s Corporate Advisor Sohan Shrestha briefly highlighted the challenging yet exciting journey NRM has had from its infancy to the present state. He also highlighted how NRM had succeeded in tackling the hardships experienced on its journey to arrive at this point. During the function, NRM also awarded the best performing employees and journalist. 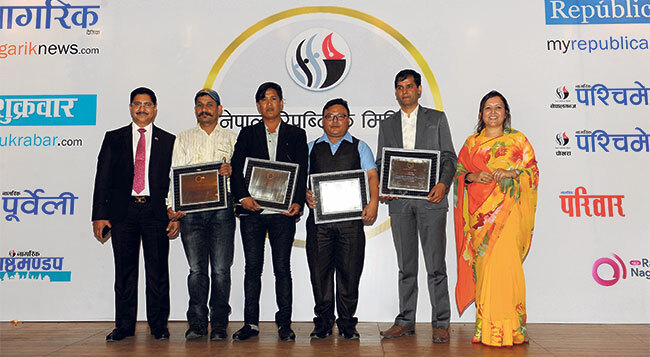 Nagarik Daily correspondent Dilip Poudel, NRM electrician Madhav Chapagain, circulation staff Ramesh Khadka and designer of Pariwar and Shukrabar Sunil Khadgi and NRM employee in its Nepalgunj office Shree Paal Prajapati were among those awarded at the function. A new anniversary logo of NRM was also unveiled on the occasion. NRM Director Shova Gyawali addresses an NRM anniversary function at Heritage Garden in Sanepa, Tuesday. NRM Managing Director Binod Raj Gyawali addresses the NRM function at Sanepa. NRM ‘star performers’ pose for a group photo at the Sanepa function. 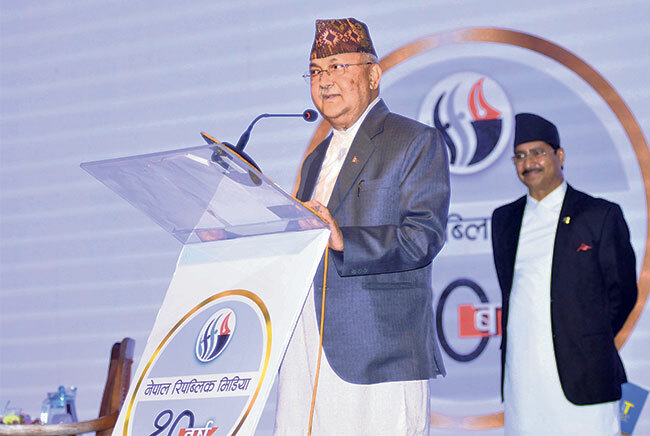 Prime Minister KP Oli addresses NRM function at Hotel Soaltee on Tuesday evening. 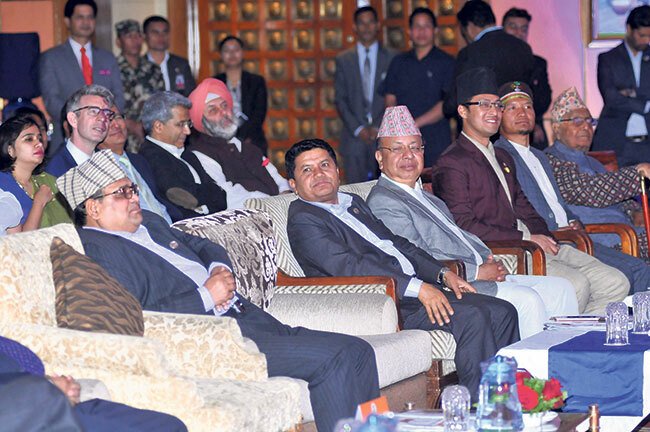 (Seated on front row) Speaker Krishna Bahadur Mahara, Tourism Minister Rabindra Adhikari and Nepal Army chief Rajendra Chhetri. 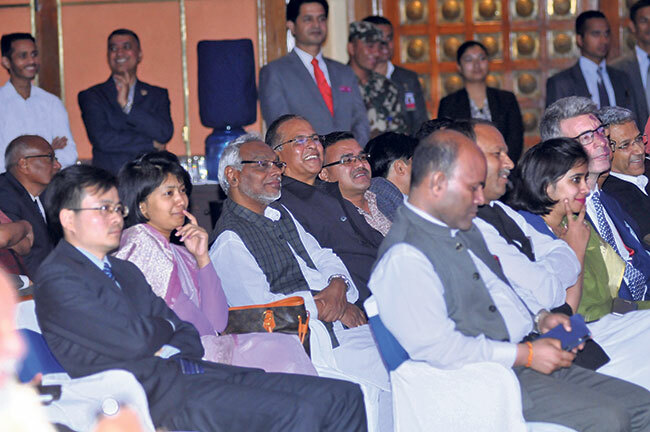 (Back row, from left) British ambassador Richard Morris, Bibeksheel Sajha Party leader Rabindra Mishra and Indian ambassador Manjeev Singh Puri among others. 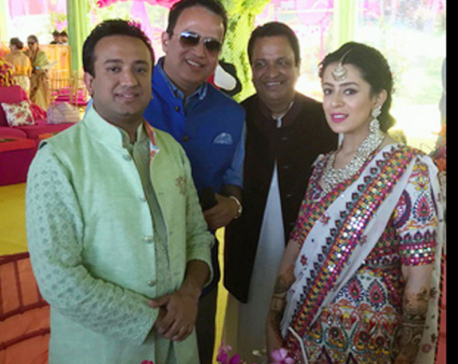 NRM Executive Director Sambridhi Gyawali (right) and other staffers at Sanepa function. 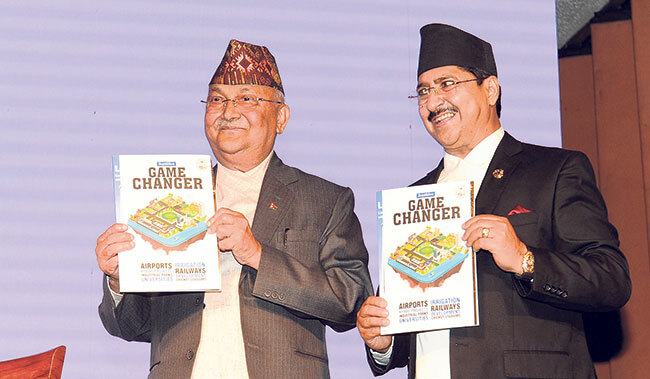 Prime Minister KP Oli and NRM Managing Director Binod Raj Gyawali jointly unveil Republica’s anniversary supplement Game Changer at the function at Hotel Soaltee. Leaders from various political parties and other guests at NRM function at Hotel Soaltee. NRM team at Sanepa function. 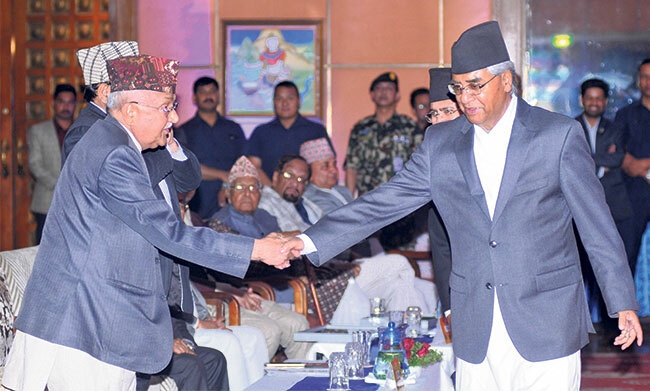 Nepali Congress President Sher Bahadur Deuba (right) shakes hands with Prime Minister Oli at NRM function at Hotel Soaltee. Guests at NRM function at Hotel Soaltee. 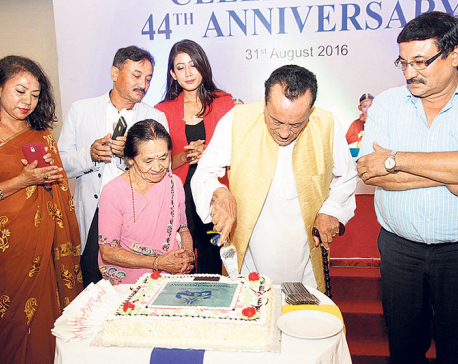 NRM Managing Director Binod Raj Gyawali and top officials jointly cut a special cake at NRM anniversary function at Sanepa. Foreign Minister Pradeep Gyawali arrives at NRM function at Hotel Soaltee. NRM Corporate Advisor Sohan Shrestha addresses NRM function at Sanepa. 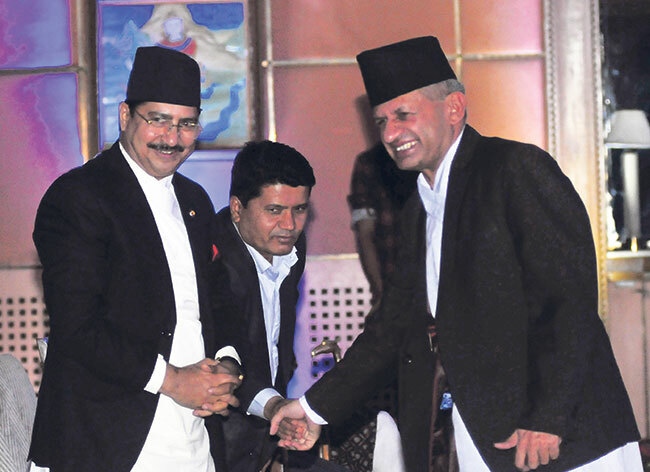 From left, CPN-UML leader Jhalanath Khanal, Nepali Congress President Sher Bahadur Deuba and Prime Minister KP Oli at NRM function at Hotel Soaltee. NRM Executive Director Sambridhi Gyawali addresses NRM function at Hotel Soaltee.